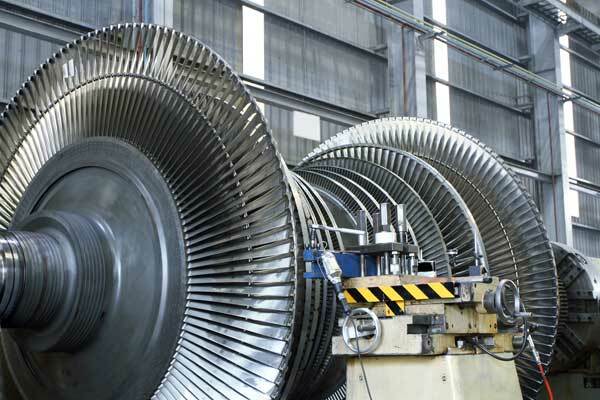 Power plants worldwide are increasingly switching to gas turbines to drive their generators. In the United States, gas-fired plants are becoming the leading source of municipal power. In addition, many academic and commercial campuses are developing gas-powered "microgrids" to provide a clean, controllable source of energy. Current generation turbines are much more sophisticated than older generation ones, and can be controlled more precisely to optimize performance. In order to do this, operators require a known, accurate fuel gas mix. Block Engineering's LaserSense-CV is a gas analyzer that provides both quantification and full speciation on the incoming feed gas in real time. This allows for turbine performance optimization, ensuring the control of NOx/SOx to acceptable levels. Block's LaserSense provides data on gas composition, BTU (both gross and net heating values), Specific Gravity, and Wobbe Index calculations. The analyzer is connected online, allowing for continuous monitoring of the gas stream. Operators can detect stream composition changes immediately, enabling them to control turbine operation to optimize performance while preventing equipment failure or damage. The thermodynamic process used in gas turbines is known as the Brayton cycle. One significant performance parameter in this cycle is firing temperature, which is greatly affected by fuel BTU (composition). Measuring BTU values accurately is essential, as some turbines can be damaged if methane concentrations fall too low. Fuels of heavier ratios can pit and damage internal components of the turbines. The LaserSense-CV provides a real-time measurement of gas stream BTU. Traditionally gas chromatographs (GC) have been used for compositional analysis. However, GCs require costly labor, maintenance, and consumables. In addition, GCs often require 4-6 minutes to obtain a reading. By contrast, Block's LaserSense-CV provides readings in seconds. No calibration gases or consumables are required. Instead of the analyzer shelters and calibration gas panels required by GCs, Block's LaserSense is environmentally packaged to user requirements. If you would like to discuss how the LaserSense-CV can help with your application needs, please contact us.